On Friday night, I watched from my phone perhaps one of the greatest examples of courage I have ever seen. 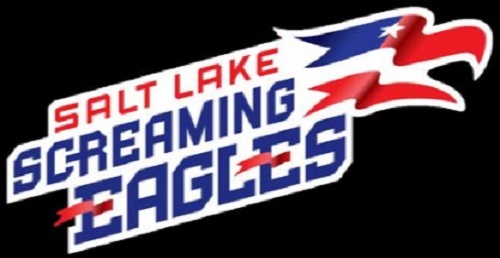 The Salt Lake Screaming Eagles, a team that could be on life support, rallied too get a win that most would not have cared about. The team has been hit with typical expansion adversity but when you add the decision to focus on a league instead of two teams where does that leave you. The team showed that real men step up in the face of danger and rise to the occasion and that's what the Eagles did serving as an inspiration to all of us. Management needs to find a buyer for this franchise and let the team continue, even if its not with the FANchise model. Kim Brown, former Utah Blaze owner might be interested in taking over the team and keeping it in Utah. The Blaze were ran well, only a paperwork mishap led to the teams suspension from the Arena Football. If she obtained a good partner, the team might stay around for awhile and perhaps reach its goal of an Indoor Football League championship. Please consider this, Screaming Eagles owners. It it would be the best thing that could happen too all. This week, the Screaming Eagles are back in action against a tough Spokane Empire team. The team has improved in each meeting and I look for it too continue in a close one 55-53. Next week, could the IFL and AFL merge? We will discuss. I hope she buys the team. Those fans in SLC deserve a team. I might be biased based on my ties with the area, but I'd prefer to see the Crush find a new ownership group than the Screaming Eagles. The Crush have been part of the IFL since it formed in 2009. The Crush have more of an established fanbase. We know when FANchise purchased the Crush, there were fans that showed up at that conference thankful that their team was saved from folding after last season when Mr. Wigley was selling the team. Somehow I doubt the Screaming Eagles would have that same kind of response. In spite of their recent struggles, the Crush have had success in the past. The Screaming Eagles have won only 3 games in franchise history, all over Colorado. Maybe it's my bias. But if I had to pick between saving the Crush and saving the Screaming Eagles, I'm going with Colorado. 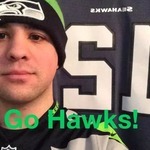 I am with David, but I would like to see both teams get saved. I find it a shame that these two teams ended up being part of a social experiment and now both have a chance of not being in existence next season. It is frustrating as a fan to see what the players, coaches, and employees have had to endure. Pleas, someone save these teams!!! FANchise ended up being a sham, which is a shame because early in the season things looked good and now things don't. Best case scenario both teams stick around (though a Screaming Eagles rebrand would be nice IMO) and there aren't many major changes. Worst case scenario, neither teams make it to next season and the IFL will be down 2 teams. My question would then be who replaces them? Are there any rumored expansion teams for next season and beyond? I have not heard of any expansion teams, but maybe someone else has. Worst case scenario, neither teams make it to next season and the IFL will be down 2 teams. My question would then be who replaces them? Are there any rumored expansion teams for next season and beyond? Possibly three down. I haven't heard good things coming out of Cedar Rapids. You can tell they're cutting costs since the team wore practice squad jerseys early in the season and then have gone with cheap looking blue jerseys for both home and road. There's a Twitter account that's lobbying the IFL or the CIF for membership called the Idaho Horsemen, based out of Nampa, Idaho (30 min or so West of Boise). Indoor Football Forum's laughing it off as a "yeah right" but it's got some high profile (at least IFL wise) people following it. So maybe something materializes? Portland's still rumored. They came close last year to signing the paperwork of joining. That could still be in play. Based on who I've also talked to, there's hope that Tri-Cities could return in 2018 since they're currently dormant and with "good standing" in the IFL. As to whether or not it'd be the Fever or if somebody would buy the assets and move the team elsewhere (for example, when Terry Emmert bought the Milwaukee Mustangs assets and created the Thunder), we don't know. Here's my take with buying the Screaming Eagles: you'd be buying uniforms, a logo, and a name, but essentially you're buying a shell. The draw of the Screaming Eagles is the whole fan run, play calling concept. If that goes away, the fan interest might drop rather dramatically. I think if you want to keep interest in Indoor Football in Salt Lake, you check on the trademark rights for the Utah Blaze and revive that identity. Whether it's just the name (like what the Colorado Ice did buying the Crush trademark) or you get the full on Blaze logos, you have to do something to re-stimulate interest in the team. Now that said, while Salt Lake lacks the historic presence that the Ice/Crush organization has, I do agree that the ideal situation would be both get saved so we remain at at least 9 (with the doom & gloom hovering over Cedar Rapids). I just think between SLC and Colorado, the Crush have a longer legacy than the Screaming Eagles. Interesting. I'd like to see Portland come into the IFL after what happened with the AFL. A Tri-Cities return would also be interesting as well. One thing I wonder about is OKC, because that is where the Screaming Eagles almost were. Wasn't there rumors about Bismarck, ND last year? How many teams do the staff of SCtoC think will be in the IFL next year? I thought about that, but I do wonder how tricky it would be to get that trademark. Theoretically if it was the same owner of the Blaze, couldn't the Screaming Eagles become the Blaze instantly? Or am I wrong about that. Bismarck, ND was a potential IFL site, but they joined Champions Indoor Football as the Bismarck Bucks. I see. Would the IFL be interested in poaching someone from CIF or even the NAL, or are they not into that? The trademark is the problem. Colorado was only able to obtain the Crush trademark from the AFL because the rights to the trademark expired. When Spokane moved to the IFL, they were forced to become the Empire because the AFL owned their trademark & logos. In the case of Arizona, the league struck a deal with Ron Shurts to keep the brand. As for the Barnstormers, Blizzard, and Fever? Kurz was buddy buddy with all those ownerships and they kept their identities. Normally, the AFL owns the team trademarks. The one case they didn't own the trademark was the Portland Thunder -- Terry Emmert owned those Trademarks. Hence the AFL rebranded them the "Steel" (which, I still think was lazy). As for the Blaze trademark? I don't know if it's expired or if the AFL renewed it. I'm not sure. I know a lot of IFL teams have jumped to the CIF for lower costs. One thing to keep in mind. The IFL is happy with its regional map. Remember, Jacksonville wanted to join the IFL but where they're located, they were out of the IFL's Geographic Footprint. If the NAL magically decided to merge with the IFL, then it could work... but I don't see that happening. So, if Portland were to comeback they would most likely be the Thunder, correct? I guess DT might know more though.